It's basically a view layer for any application, which enables reactive data binding and composable view components (without polyfills, even in browsers that don’t support those features natively) through an extremely simple API. Vue differs from the alternatives, such as React or Angular, mainly for the great developer experience it provides, which makes them super productive without the need to spend tons of time learning new stuff. Last week, we built our first demo in Angular 2. The application implements our evergreen "Basic Stock-List Demo", which shows ten stocks whose market-data are dynamically updated by a random simulator and sent in real time to the web client by the Lightstreamer Server. Previously, we had done the same exercise using AngularJS (you can see the outcome in this live demo and this GitHub project). 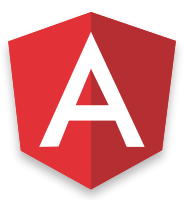 The overall task of integrating Angular 2 and Lightstreamer Web Client API was not difficult at all, notwithstanding the lack of extensive documentation (at the time of writing, Angular 2 is still in beta). Angular 2 aims to be a complete framework to build sophisticated web interfaces. In the demo we just scratched the surface.